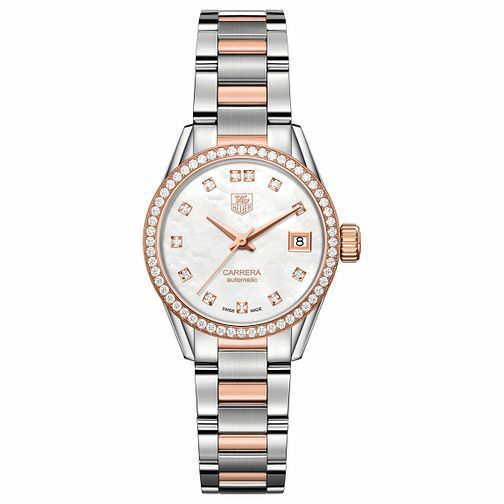 A sleek TAG Heuer ladies' watch, featuring a stainless steel and rose gold plated bracelet and chronograph dial, contrasted with sophisticated stone set rose gold tone markers. Powered by innovative automatic movement, a crystal glass screen provides scratch resistance. Luxury watch that benefits from over 150 years of Swiss expertise, savoir-faire and heritage as cultivated by TAG Heuer.